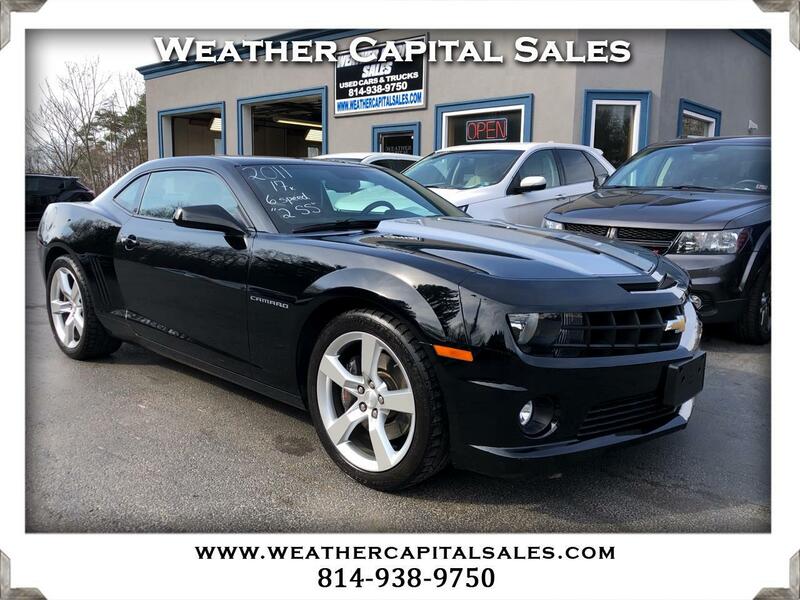 A 2011 CHEVROLET CAMARO 2 SS 6 SPEED WITH ONLY 17,834 ORIGINAL MILES! THIS CAR IS LIKE NEW INSIDE AND OUT. WE HAVE FULLY SERVICED AND INSPECTED THIS CAMARO AND HAVE INCLUDED A GENEROUS WARRANTY AT NO ADDITIONAL CHARGE. EQUIPMENT INCLUDES THE 2SS PACKAGE, HEATED LEATHER SEATS, REAR SPOILER, SS STRIPES, CUSTOM CAT BACK EXHAUST, HURST SHIFTER, AND MUCH MORE. I HAVE PERSONALLY DRIVEN THIS CAR OVER 50 MILES. IT RUNS AND DRIVES GREAT! THIS IS A VERY, VERY CLEAN CAR. CALL US TODAY.